In compliance with the duty of information according to the laws of the Kingdom of Spain, the following information is provided: the website owner is Tecknolab VAS S.L.U., a company incorporated under the laws of the Kingdom of Spain, VAT number B87990420, with offices at Alcobendas, Av. España 17, Madrid, Spain (hereinafter Tecknolab). 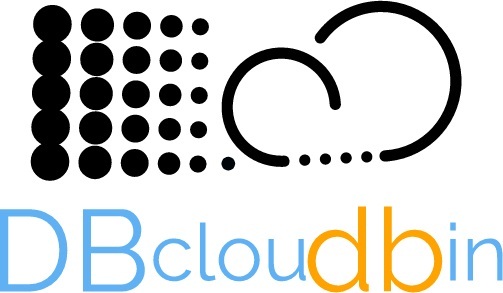 www.dbcloudbin.com provides access to information, services, programs or data (hereinafter, “the contents”) belonging to Tecknolab or its licensors, to which USER may have access. USER assumes responsibility for the fair use of the portal. This responsibility is extended extends to the registration required to access certain services or content. USER undertakes to make adequate use of the contents and services provided through this website. USER will not use them to (including but not limited to) (i) incur in illegal activities; (ii) disseminate content or propaganda of a racist, xenophobic, pornographic-illegal nature, in defense of terrorism or in violation of human rights; (iii) cause damage to the physical and logical systems of Tecknolab, its suppliers or third parties, introduce or spread computer viruses or any other physical or logical systems on the network that may cause the aforementioned damage; (iv) attempt to access and, where appropriate, use other users’ accounts and modify or manipulate their data. If required or necessary, the USER agrees on providing legal and truthful data/information. Tecknolab complies with the laws of the Kingdom of Spain regarding the protection of personal data, and ensures the correct use and treatment of the user’s personal data. Each time the user provides Tecknolab with personal data, USER will be informed of the existence and acceptance of the particular conditions of the treatment and communication of USER’s to third parties in each case. USERS may exercise their rights of access, rectification, cancellation or opposition of their personal data by sending an e-mail to legal@tecknolab.com. Tecknolab will not share nor provide the USER’s e-mail adress (or other personal data) to third parties without USER’s consent, except in compliance with legal duties or required by authorities. When using the Services provided through this website, Services’ Terms & Conditions will apply to USERS personal data (http://www.dbcloudbin.com/terms-and-conditions). Tecknolab, is the owner (or licensee) of all the intellectual and industrial property rights of its website, as well as the elements contained therein (including but not limited to images, sound, audio, video, software or texts; trademarks or logos, color combinations, structure and design, selection of materials used, computer programs necessary for its operation, access and use, …). All rights reserved. It is forbidden the reproduction, distribution and public communication, including the way in which all or part of the contents of this website are made available for commercial purposes, in any medium and by any technical means, without the authorization of Tecknolab. USER may view the elements of the portal and even print, copy and store them on hard disks or other physical devices or storage logical services only for personal and private purposes. USER will not delete, alter, evade or manipulate any protection element or security system installed on this website. Tecknolab is not responsible, under any circumstances, for any damages of any kind that may be caused, but not limited to: errors or omissions in the contents, lack of availability of the website or the transmission of viruses or malicious or harmful programs in the contents, despite having adopted all the necessary technological measures to prevent it. Tecknolab reserves the right to make unannounced changes it deems appropriate to its website, and may change, delete or add both the contents and services provided through it and the way in which they are presented or located on its website. In the event that links or hyperlinks to other Internet sites are available on this website, Tecknolab will not exercise any type of control over such sites and contents. Under no circumstances will Tecknolab assume any responsibility for the contents of any link belonging to another website, nor will it guarantee the technical availability, quality, reliability, accuracy, comprehensiveness, veracity and validity of any material or information contained in any of these hyperlinks or other Internet sites. Likewise, the inclusion of these external connections will not imply any type of association, merger, agency agreemet or participation with the connected entities. Tecknolab reserves the right to deny or withdraw access to the portal and/or the services offered without prior notice, at its own request or at the request of a third party or authority), to those USERS who do not comply with these terms & conditions. Tecknolab may modify at any time the conditions determined here, being duly published as they appear here. The validity of these conditions will depend on their exposure and will be valid until they modified by other published conditions. The relationship between Tecknolab and the USER will be governed by the law of the Kingdom of Spain and any dispute will be submitted to the Courts and Tribunals of the Kingdom of Spain.